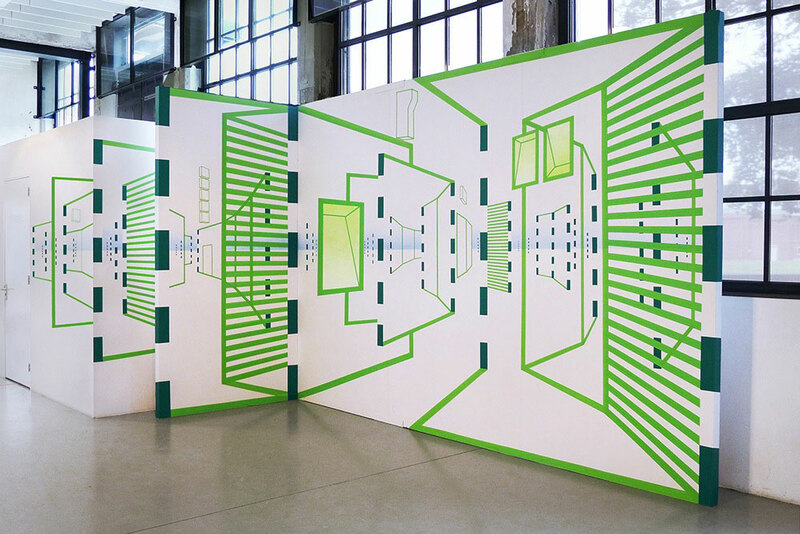 Installations of Imaginary Architecture by Damien Gilley. 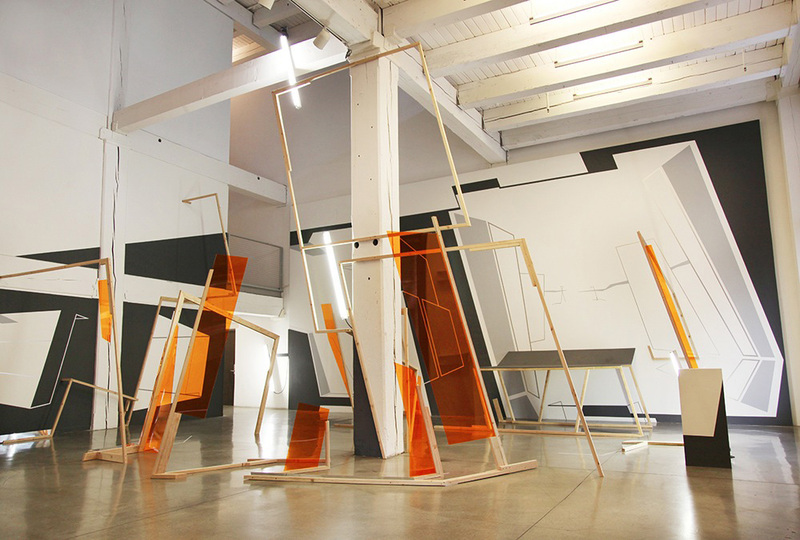 ‘Axis Index’ @ Suyama Space, Seattle WA. ‘Re/Activate’ @ Wieden+Kennedy World Headquarters. 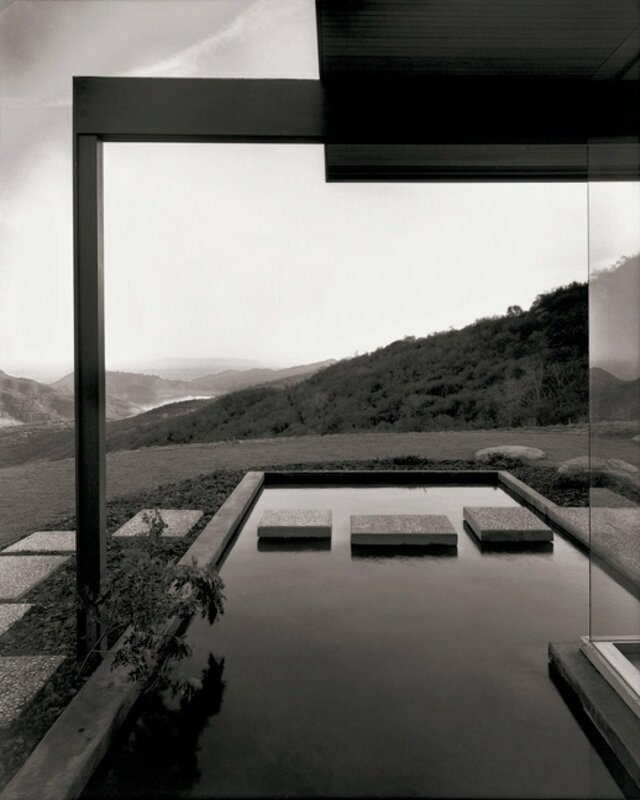 ‘Absorption Field’ / Gallery Homeland. ‘Detourism’ / Tetem Kunstruimte, Enshede, Netherlands. 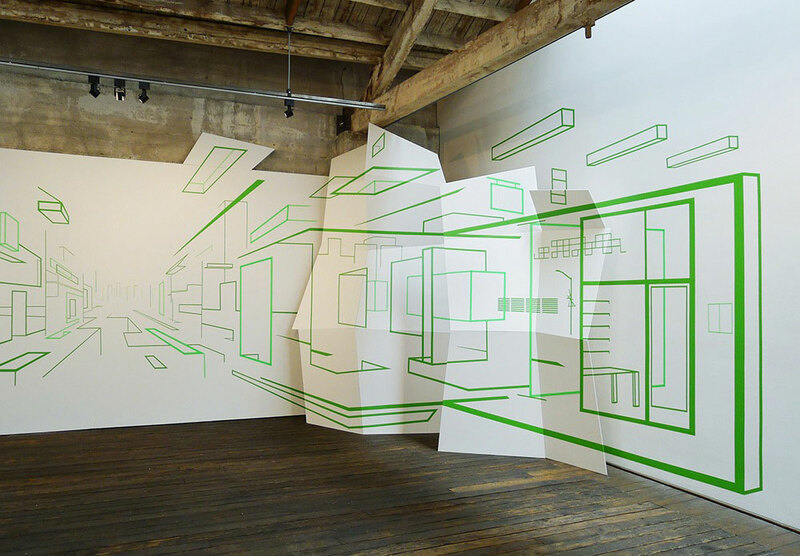 Portland-based artist creates optical illusions that explore imaginary architecture from strips of coloured tape. 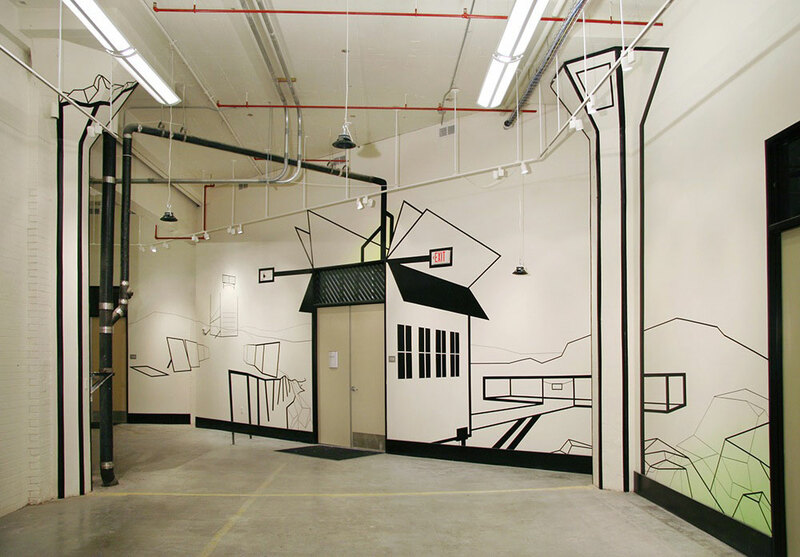 His large-scale site-specific complex works are executed through drawing and sculptural practices. 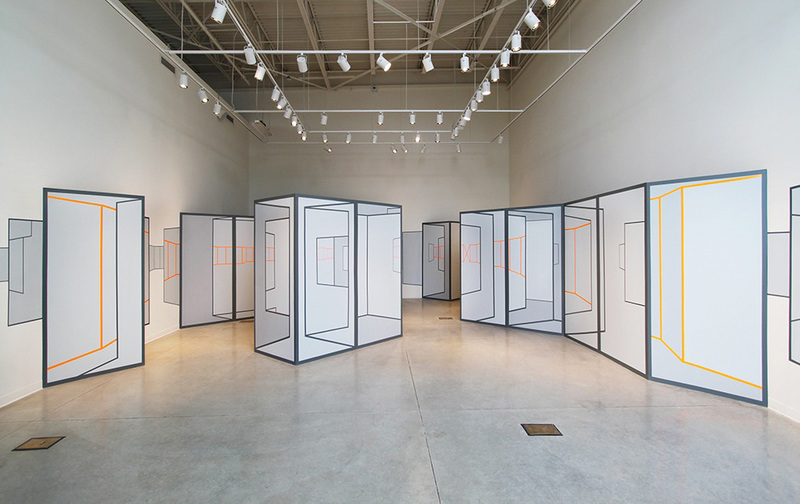 His illusions, based on the specific proportions and perspectives of the chosen site, challenge the viewers perception. 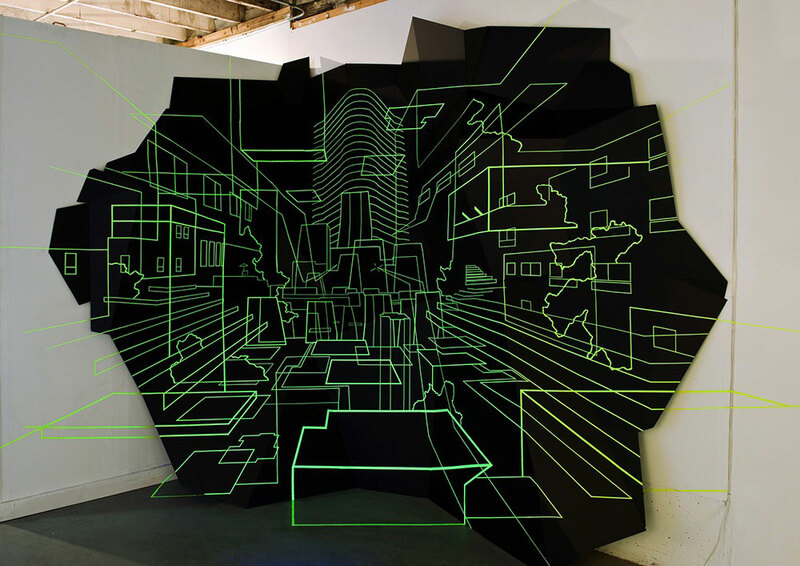 Referencing influences from science fiction, , and vintage computer graphics, Gilley’s works create hybrid-viewing situations reminiscent of digital retro-futurism. His clever installations extend the parameters of flatness. What’s not to love? See more tape art on Yellowtrace. Out & About in Tortona // MILANTRACE2015. Kafé Magasinet by Robach Arkitektur // Göteborg, Sweden.